You will not find historical information on the ancient road between Siena and Florence, it is likely that a road link would combine the two centers of Tuscany not far from the main road Cassia. Near the place called Tenth, near the village of San Casciano Val di Pesa, is kept a “Mansio to Decimum lapidem” which was about 10 miles Roman (15 miles) from Florence. 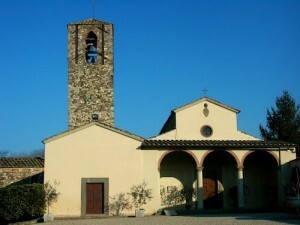 A tenth is also the parish church of Santa Cecilia, who was a rich aPieve epotente founded in 774 under the patronage of the bishops Florentines. Under the current building of the seventeenth century have been preserved original structures romanichecome testifies to the loggia with three arches supported by four columns. To the right of the back wall you’re ready to admire the oldest object in the church: a small water collector marble, walled up in the corner of the wall. 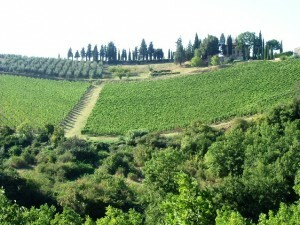 The Florentine hills had taken in aa great authors of Italian literature, Dante, Boccaccio (originally from Certaldo), and Niccolo Machiavelli. Niccollò Macchiavelli has created his most famous work “The Prince” during their exile in the Florentine hills in Val di Pesa. Was exiled by the Medici family as a result of a conviction for having conspired against the family Boscoli. He wrote “The Prince” from 1515 to 1516. 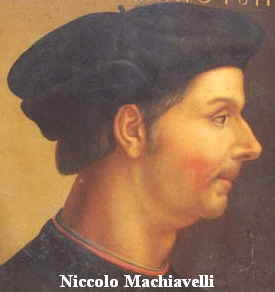 The literary work consists of 26 chapters and is clearly the theme of “the end justifies the means”, Machiavelli believes the prince, forced to live among wicked men, it can not only follow the moral laws but must also be ruthless when circumstances so require. The goal is to win and maintain the state: the means, if he wins, will always be considered honorable. The work is believed inspired by Lorenzo il Magnifico de ‘Medici.